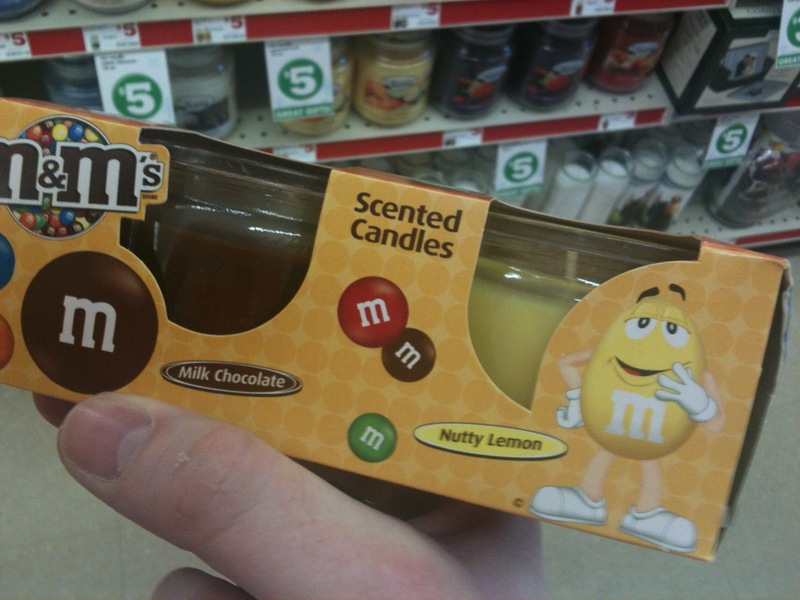 These candles were found at Family Dollar. Brave enough to buy them! Nate didn’t buy these in fear he would have eaten the wax. I told him he should have picked up a huge 5lb bag of M&Ms to avoid that. I would like to find Skittles candles, it’s Andrew’s favorite candy. Now I know what I’m tomorrow evening!